Bundy Oregon Standoff Second Trial Update | RANGEfire! The Second Phase Oregon Standoff Trial is now just around the corner, scheduled to begin on February 14, 2017, in Portland. Based on publicity from the first trial, 1000 potential jurors have been summoned to appear for jury selection. For those interested, there have been significant new developments in the case. On Friday, January 20th, the seven defendants scheduled for trial in February were charged with a number of new charges, primarily misdemeanors, including trespassing and criminal mischief, which the Federal Government hopes that it can have an easier time of securing convictions for that it did the last round when all of the first round defendants, including Ammon & Ryan Bundy were acquitted of all federal conspiracy and firearms charges. 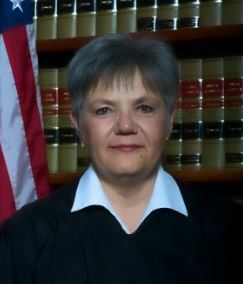 The most significant development, however, was Judge Brown’s preliminary ruling that she intends to deny the defendants the opportunity to have a jury trial on the new charges, and she will be trying those charges herself — in an obvious attempt to ensure convictions, without the possibility of having a jury mess things up. This is a very troubling development. See Gary Hunt’s article on this subject. In the week prior to starting the trial three of the four defendants scheduled for trial took misdemeanor plea deals, whereby they pled guilty to a misdemeanor trespassing charge. The Defendants who opted to continue to trial are Jason Patrick, Duane Ehmer, Jake Ryan and Daryl Thorn. In related developments, the Bundy trial(s) in Nevada have now been split into three trials too, with the first trial scheduled to begin on February 7th. The Bundys themselves, however, will not be tried until the second trial later in the Spring. And as compared to the Oregon defendants, most of whom were eventually released from custody pending trial, every single one of the 17 Nevada defendants is still being held in custody pending trial. Many consider these defendants to be political prisoners, whose continued pre-trial incarceration is nothing more than a political statement by the federal government, without any legitimate basis, based on the defendants being legitimate flight risks or posing any genuine threat to public safety.